I yesterday fished the Farmington. It was strange. 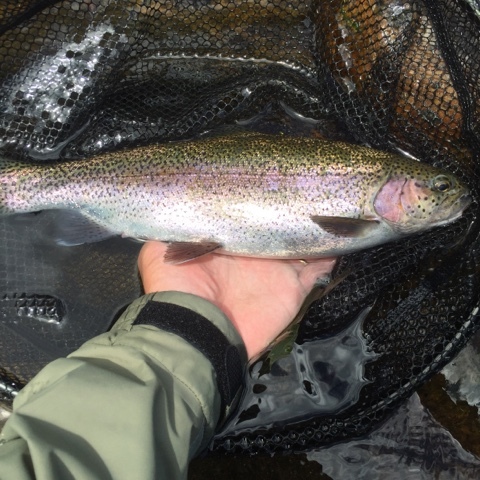 The usual spots weren’t that productive, and the usual Euro-nymphing flies didn’t deliver. The fish most definitely were there. Some even rose just 10 feet from me. 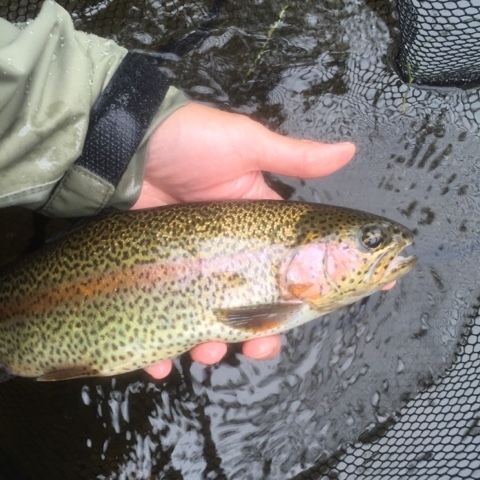 There were a ton of bugs and the trout were rising all day. The river was crammed with hatches. With the weather rainy and cloudy, hatches happened the entire day. Pretty amazing. For the first time ever, Euro-nymphing didn’t really produce for me. I saw many Isonychia and a significant number of Light Cahills. I’m not a “match the hatch” guy usually and didn’t have exact flies that mimicked those bugs. But, there also were plenty of Caddis. Thankfully, Tim Cammisa’s X Caddis, with and without a dropper, did a great job. When I had burned spots with that fly, I put on a New Zealand indicator and floated three flies (legal in Connecticut) from just under the surface to a few feet below: small emergers and a Walt’s Worm. It was glorious to see fish actually porpoising to take a WD-40. The trout were ignoring anything bouncing on the bottom. A dry fly paradise. Ultimately, seven rainbows came to the net. No browns this time. But, I will get them again one day. In the coming weeks, I’d encourage you to hit the Farmington. It was a dry fly haven yesterday. The browns go meat crazy on those kinds of days. Use a big parachute Adams, size 8 or 10. I like using frogs, giant stimulators, or 5-6 inch articulated streamers in those conditions on that river. Great ideas! Yes, the Iso's were massive. I didn't have any dries that big.